Seen on both Internet Explorer 9 and Internet Explorer 10 When browsing the web Internet Explorer 10 crashes with a stackhash_a7aa error. To resolve this issue, in Windows 8 jump to Desktop and then Control Panel. From within Control Panel Select Internet Options. Then select the Advanced Tab. 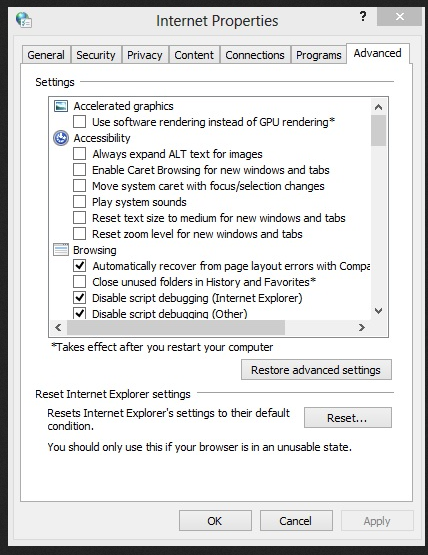 Browse to Accelerated Graphics and select use software rendering instead of GPU rendering” as seen below. Once done completely restart internet explorer or even better reboot the PC and you no longer see the stackhash_a7aa Crash error. 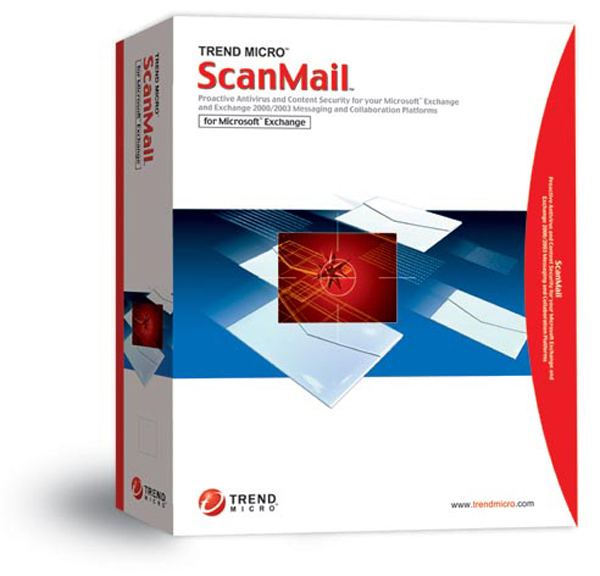 Step By Step Guide on Installing and Configuring Trend Micro Scanmail On Microsoft Exchange 2010.This is a simple process.